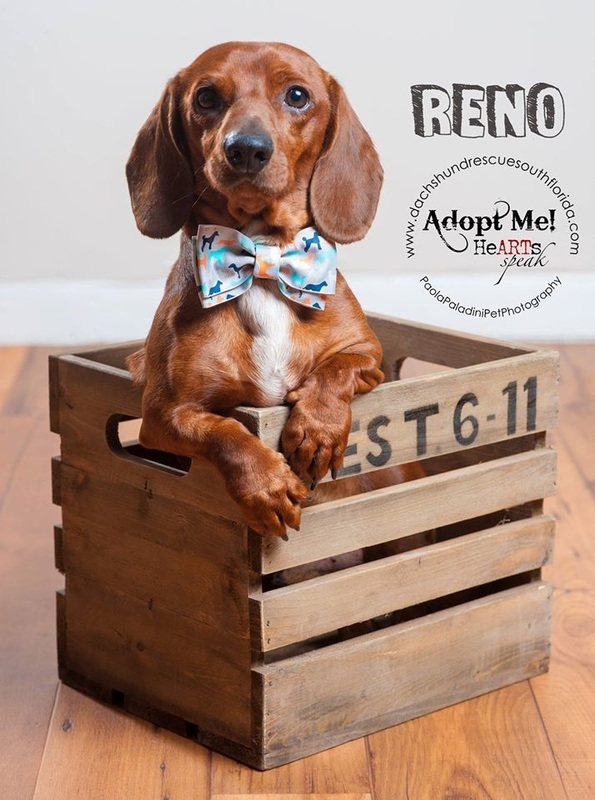 All doxies are beautiful but so many of the little ones who come to our door have had a difficult journey and need a little makeover to help them show their true spirit and personality. Who doesn't love some pampering and good lighting to help them look their best? That is where our Doxie Glam Squad comes in! My first camera was a gift from my "awesome" sister when I was 18 years old. But my true passion for pet photography came years later… when I moved to the United States from Argentina with my Rottweiler, Simon. Everybody told me I was crazy to travel 5000 miles with a big dog like him, but he was MY dog and I wasn't going to leave him behind. He was the first dog I ever photographed. When he passed away in 2005, I felt a deep emptiness in my heart. An emptiness I’ve never felt before. That’s when I decided I wanted to make a difference in the lives of other dogs and I started volunteering at my local shelter. As I bathed and took care of the animals, I would take their pictures, hoping it would lead to a loving home sooner rather than later. Those dogs really touched my heart, filling that emptiness I had. Now, I give that gift to animals everywhere – whether up for adoption or those who’ve already found their forever families. I feel so lucky that I get to help make a difference in the lives of needy animals and share my passion for photography with other pet owners. Amanda Tang has incorporated her love for children and photography together into her passion — photographing children and family in their element, candid and as naturally as possible. In addition, many corporate clients look to Amanda to capture their publicity portraits, product photography and other corporate photography needs. Amanda can also be found helping organizations true-to-her-heart, such as dog rescues, by offering her photography skills in any way beneficial. Amanda Tang was born and raised in New Jersey. In 1990, Amanda moved to Florida where she has lived since. She graduated with honors from the University of Florida, and went onto a successful career in graphic design. She was Art Director at First Marketing Company in Florida for over 8 years, and then went onto be Creative Director of Apple Juice Studio since 2005. .
Josie Posie Photography specializes in lifestyle photography for the past several years. We love to create memorable moments for our clients. Our photography is about telling a story of people and places, whether through a single portrait, life changing event for documenting a day in someone’s life. Capturing a moment in time that will forever be cherished and remembered. Contact us today about that special moment you would like us to capture for all to remember.